The Agrostudies program promotes agricultural advancement across developing countries through their internship program. Espousing a “learning by doing” principle, the program makes sure that graduates don’t learn just theories during their one-year apprenticeship in Israel, but actual useful techniques that they could adopt and modify for use in their home countries. The latest addition to the list of successful graduates is Anthony Abena, a graduate of the 2015 program. He adopted a farming design from a Miftah project and modified it in his home town in the Philippines. Abena has started a papaya plantation, building a net house for his papaya seedlings. Abena learned through the program that he could use two sustainable planting facilities, a greenhouse or a net house. A greenhouse is a structure built with either glass or plastic (technically known as polyethylene film sheets). Its main purpose is to control the temperature and sunlight distribution among plants or crops and to protect them from pests and sudden weather changes. A net house, as its name suggests, is built with net coverings, either woven or knitted. Though both designs provide the same protection, crops in a net house are naturally ventilated and are more exposed to their natural needs, such as sunlight. Abena learned to distinguish the construction and purpose of these two designs from a farm in Kibbutz Yehiam, Israel. Currently, his 3,000 papaya seedlings are protected from the wind and the sun by his modified net houses, which he says can withstand a 260kmph wind velocity. 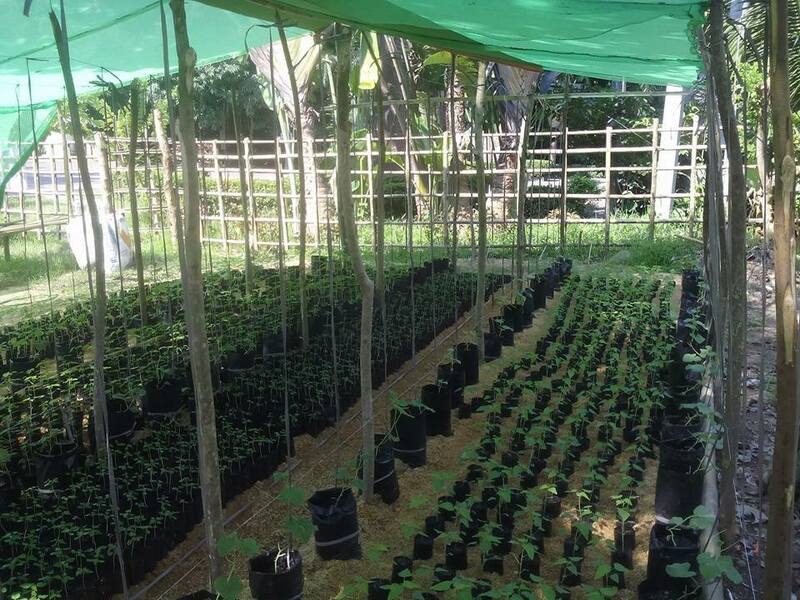 Together with his business partner, Rodolfo De Guzman, Abena aims to reach 30,000 seedlings. He is in talks with a local government office in Central Luzon for his seedlings and is also working on the expansion of his business from selling papaya seedlings to distributing fully grown papaya fruits. For now, the remaining area of his nursery is being planted with honey dew melon as an intercrop. Abena is grateful for all that he has learned and experienced back in Israel with the Agrostudies and Kibbutz Yehiam cooperation. More students can benefit from this program and help their local communities become self-sustaining.